Guillermo del Toro with the Golden Lion for Best Film. 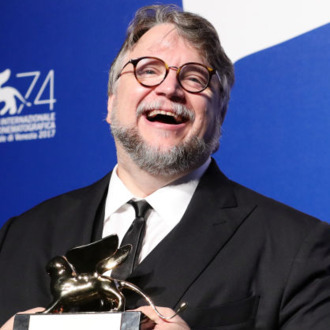 Guillermo del Toro’s The Shape of Water was awarded the Golden Lion at the 74th Venice Film Festival on Saturday, a triumphant end to a week’s worth of rave reviews and Oscar buzz. The film, a romantic monster movie starring Sally Hawkins and Michael Shannon, premiered on the Lido on August 31, and was quickly hailed by many as the festival’s — and del Toro’s (at least since Pan’s Labyrinth) — best movie. It’s also the first English-language movie to win Venice’s top prize since Sofia Coppola’s Somewhere in 2010. Placing second, the Grand Jury Prize recipient was the Israeli military drama Foxtrot, which similarly wowed critics upon its premiere at Telluride last week. Other notable winners include Lean on Pete breakout Charlie Plummer for best young performer; Three Billboards Outside Ebbing, Missouri writer-director Martin McDonagh for best screenplay — a significant boost since he’s emerged as a serious Oscar contender for the movie alongside stars Frances McDormand and Sam Rockwell; and the always-excellent Charlotte Rampling, of the Italian drama Hannah, for Best Actress. See the complete list below.